I have always enjoyed spending time in spas, I really do love a good massage. There is just something so indulgent about going to a spa for a few hours and taking time for yourself to fully relaxing. Earlier this year I had an amazing time traveling around Thailand. It’s a country known for it’s spa treatments and they are usually at a fraction of the cost compared to London so I made sure I took advantage! Every spa I used had the same sweet jasmine and lemongrass fragrance. Nothing overpowering, just a subtle aroma that instantly makes you go ‘ahhh, and relax’. And there is always soothing music. I just love it! 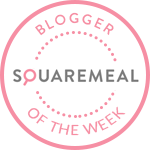 When I was invited to try the new Himalayan Ritual Massage at Thai Square Spa you can imagine it was an instant yes from me! I don’t go to spas often, it is definitely a treat for me, but when I do go I pick the best I can afford. 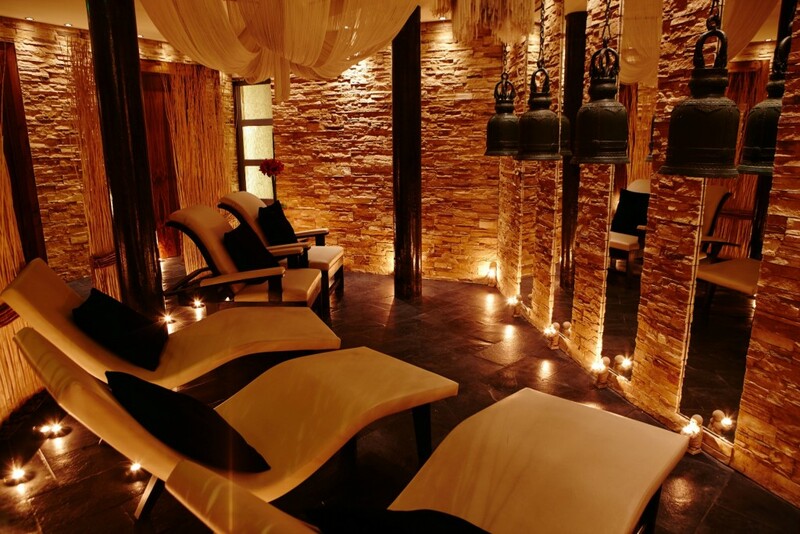 To me, a good spa is somewhere away from the hustle and bustle of my daily London life and it has to be somewhere that transports me to a tranquil environment where I can fully relax. As you know I have had the best but also the busiest of summers and I thought after 4 nights camping at Wilderness festival would be the perfect time to take a few hours to relax and unwind before jetting off to Barcelona the next day! 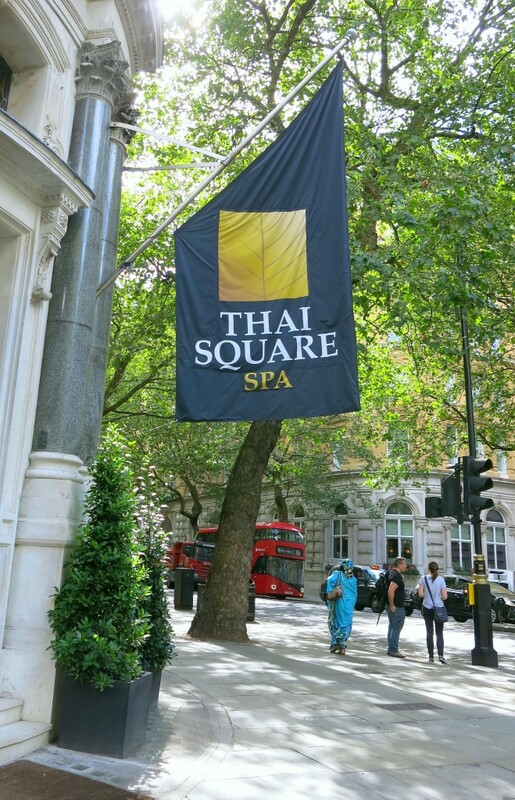 Located just off Trafalgar Square on leafy Northumberland Avenue, I arrived at the Thai Square Spa excited for my hour long Himalayan Ritual Massage. Walking in, I instantly got that sweet fragrance I remembered from Thailand and couldn’t wait for the treatment to start. The receptionist asked for my name and after a few minutes we realised I had been booked in for the following Monday. This was completely my mistake – I had totally got my dates mixed up! But they very kindly squeezed me in half an hour later. For which I was very thankful! About 10 minutes before my treatment began I was shown through to the changing rooms. They are quite small, but there are lockers for your belongings. They also provide you with flip flops so you don’t need to worry about bringing your own. Once you’re ready you are taken down the spiral staircase into the relaxation area. The lights are low, with flickering candles lining the walls, the music fills the background and as I lay on the large reclining chair I closed my eyes and was transported back to my trip to Thailand just months before. Himalayan salts are found deep within the rivers and valleys of the Himalayan Mountains and for centuries, these salts have been celebrated for their versatility, purity and healing properties. The Himalayan Ritual Massage at the Thai Square Spa combines various Oriental massage techniques for the ultimate treatment. I was promised it would stimulate circulation and hydrate the skin, detoxify the skin and relax muscles, reduce stress and promote a better sleep. I happily drifted off into a zen like state for an hour and I came out fully relaxed, skin so soft and smelling rather beautiful even if I do say so myself! I almost didn’t want to leave this luxurious little haven. The Himalayan Ritual Massage costs £105 for a 1 hour. It is not cheap, but it is 100% totally worth it. I’ve had my fair share of massages in London and this is probably the best I’ve had, though of course, I shall continue in my research… just for you guys! *Thank you to Thai Square Spa for my complimentary treatment, all opinions remain my own. 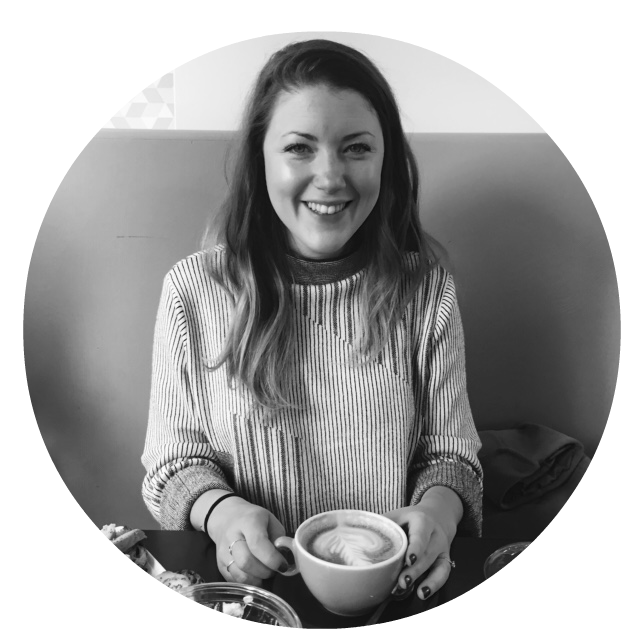 Follow me on Bloglovin, Instagram and Twitter for all things London, travel and food! This sounds wonderful, exactly what I need! It really was so relaxing. I’m definitely going back soon!